“Wow” is about all I can say about this rose! When you see two different colored roses on the same plant, you know you've got a winner. 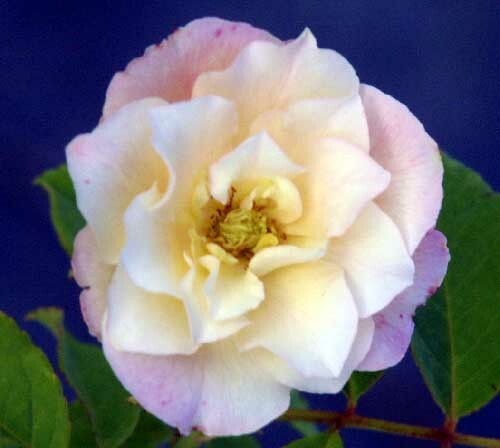 The blooms open a creamy yellow, then age to dark pink in the hot sun. The bush can get quite large if it's not pruned to keep it in bounds. Typical size is 5' to 7'. Bred in Lyon, France in 1871 by Jean-Claude Ducher.